Altitude is probably the last thing on your mind as you walk into an airport, particularly if you're afraid of flying – you'll have plenty of time to think about the distance between yourself and the surface of the sea on your flight. Nevermind the fact that many of the world's busiest airports – and certainly, in the United States – are at or near the coast. This definitely won't be the case if you happen to fly into or out of Daocheng Yading Airport, located in the Garzi Tibetan Autonomous Prefecture of China's Sichuan province. Perched nearly three miles above sea level on the Himalayan plateau, Daocheng Yading Airport holds the title of the highest airport in the world. Just How High is Daocheng Yading Airport? Officially speaking, Daocheng Yideng Airport sits at a height of 4,411 meters, or 14,471 feet, above sea level. 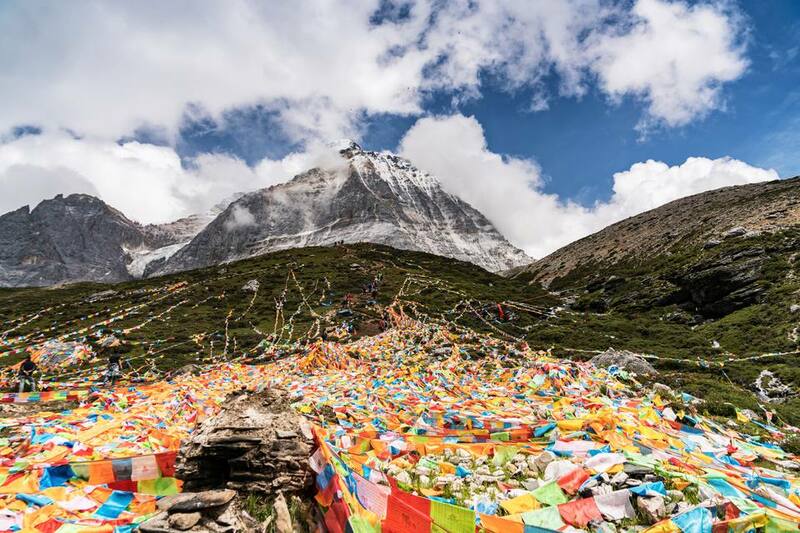 Interestingly enough, it sits just 77 meters higher than the world's next-highest commercial airport – Qamdo Bamda Airport, also located in the Tibetan Autonomous Region – and in fact, the world's four highest airports are all under Chinese jurisdiction. Well, depending on your views RE: the Tibet situation, naturally. To compare Daocheng Yading Airport to airports you might know, well...that's actually rather difficult. The highest commercial airport serving a major metropolitan area is El Dorado International Airport, which is located near Bogotá, Colombia, and it sits just 2,548 meters (or 8,359 feet) above sea – which, to be fair, is still more than a mile high, and higher than any U.S. airport. To be sure, a still better-known comparison is to Denver International Airport, which sits 5,430 feet above sea-level, an altitude befitting for the airport of the fabled "Mile-High City." Of course, Denver is not really high enough for its altitude to affect its ability to handle nonstop flights even to far-away destinations (United Airlines has operated a nonstop flight from Denver to Tokyo for nearly half a decade), particularly because the climate of Colorado is anything but hot. Interestingly, one accolade Daocheng Yading Airport is never likely to receive is the "world's most dangerous airport" since, in spite of its height, it is built on a plateau. The current holder of that title, Nepal's Lukla Airport, sits about 5,000 feet lower than Daocheng Yading, but is built onto a steep mountainside, which makes it substantially more treacherous). Additionally, while Chinese airlines are famously delay-prone, they're generally not among the world's most dangerous. If you're at all an aviation nerd, then you have probably heard the term "hot and high," which refers to the tendency of an airport's elevation and/or the prevailing climate in the region where it is built to limit the length of flights that depart from it. It's the reason, for example, that nonstop flights between Mexico City and Tokyo have only recently started, in spite of the large amount of traffic between the two huge cities, and the relatively manageable distance between them. (Other long-served city pairs separated by similar distance include New York-Beijing, Istanbul-São Paulo and Chicago-New Delhi). As of January 2015, only two cities are served nonstop from Daocheng Yading Airport: Chengdu, the bustling capital of China's Sichuan province; and Luzhou, a smaller city (by Chinese standards anyway) located to the southeast of Chengdu. Just three airlines serve Daocheng Yading Airport – Air China, China Eastern Airlines and Sichuan Airlines – which means that if you would like to visit the airport, your options for doing so are rather limited. To say nothing about how difficult it is for foreigners to enter Tibet, but that is a different topic for a different article. Indeed, it's not inaccurate to say that demand for the world's highest airport, at least for the forseeable future, which continue to derive primarily from the China domestic market.